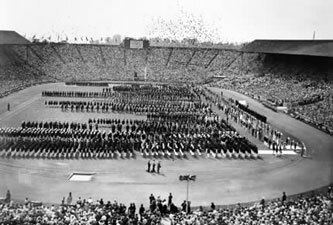 With the 2008 edition of the Olympic Games just days away, today is the sixtieth anniversary of the opening of the 1948 London Olympic Games. 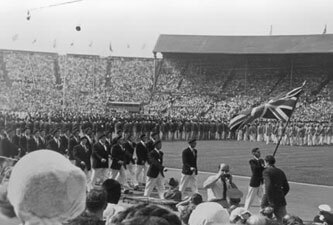 Unlike the previous time that London held the games, in 1908, when they started in April and lasted most of the summer, the 1948 games had a recognisably modern two week format. 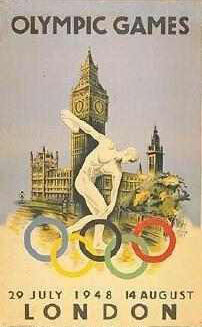 London had only a couple of years to prepare, having been awarded the games ahead of Baltimore, Lausanne, Los Angeles and Philadelphia in March 1946. In many ways they were a make-do-and-mend games after the war. All of the venues were pre-existing buildings that had survived the Blitz. There was no purpose built Olympic village. Male athletes were housed in some barracks in Uxbridge, the ladies in a school and there was a makeshift camp of canvas tents in Richmond. 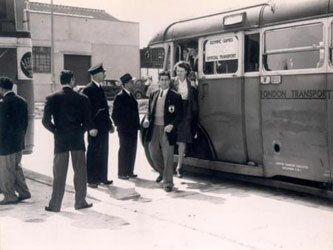 Getting to and from the venues were achieved using the glamour of some London buses that had been pressed into Olympic service. They might have been done on the cheap, but the London Games still had plenty of pomp and circumstance. The King was at the opening ceremony, which saw an Olympic Torch used with a magnesium flame. 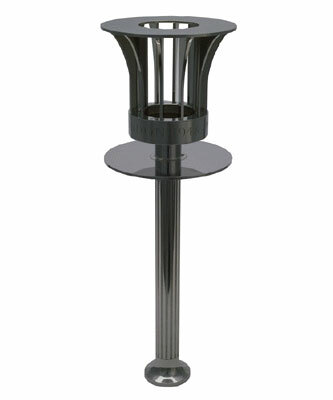 This was to ensure that spectators could still see the flame clearly during daylight, and it was the design of torch pictured below that was used to run into the stadium. The main events, and opening and closing ceremony were held at the Empire Stadium Wembley. Home advantage didn't do the British team much good. 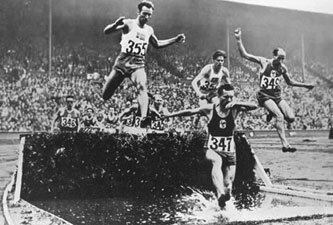 Unlike in 1908, when Great Britain topped the table, in 1948 they finished 12th, with just 3 gold medals. The games saw some technical innovations. 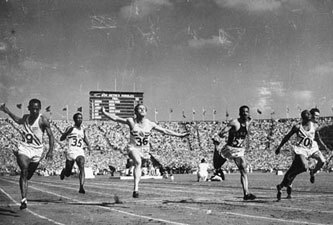 Photo finishes were used for the first time, and it was due to photographic evidence that an initial decision to disqualify the United States as winners of the Men's 400m relay was over-turned. Ten years after the F.A. Cup Final was first broadcast live from Wembley, the BBC broadcast some of the Olympics for the first time. Sweden impressively won the football gold medal, beating Yugoslavia to silver in the final. Great Britain, in contrast to the modern wrangling by the home nations FAs, entered a unified team. They lost the bronze medal play-off to Denmark. The tournament format made a lot more sense than the rather odd one in 1908. Matches were played at Wembley, as well as league grounds Fratton Park, Highbury, Selhurst Park and White Hart Lane. There were also games at smaller venues including Ilford and Green Pond Road Stadium in my home town of Walthamstow. 59 countries took part in the 1948 Olympics, helping to bring back some normality to sport after the disruption of the Second World War. Not everything was forgotten though - Germany and Japan were not invited. There is still plenty of memorabilia about the games dotted around London. 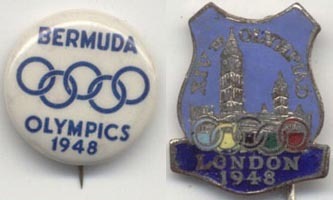 These pin badges - one from the Bermuda team and one from the hosts - are, for example, in the Brent Museum. You don't have to take my word for it though, you can read about it from someone who helped organise it. 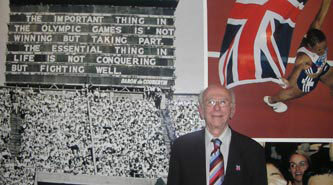 Back at the end of 2007, the 2012 London Olympics blog published a post by Dennis Milstone, who was one of the accountants who worked on putting the 1948 games together. By Martin Belam on 29 July 2008.
this is a great post. In order to learn from our past we must look to it. Those where hard times. Finding a common interest along the world was a great way to erase a lot of the hard times that had been b4 this thanks for the information and great pics. Very keen sight into the past .